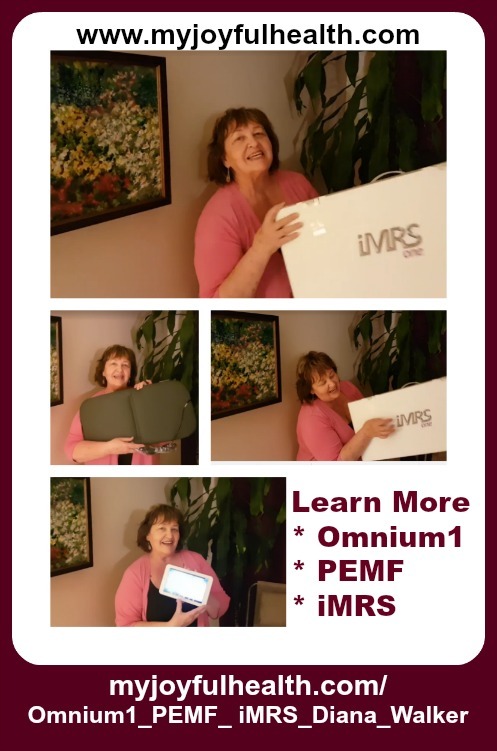 Omnium1 PEMF iMRS Diana Walker Thank you to Wolfgang, Allie and Sabine. * Sabine at Swiss Bionic Solutions Canada. I am so grateful for the wonderful technology that you have brought to the world, Wolfgang. I am so grateful to Allie for bringing this technology to Canada, and to Sabine for terrific support at Swiss Bionic Canada. Below is my “Thank you” video. Below is my video filmed in Grand Cayman, Caribbean, February 2018 when visiting my sons Jesse and Gabe. My sister Goldie videotaped this for me. 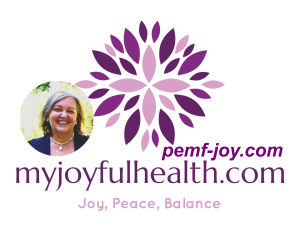 PEMF describes in modern medicine the specific application of unique pulsed, electromagnetic frequencies and intensities for the health benefit of human beings and animals. There have been in-home Magnetic Resonance Stimulation (MRS) systems for about 25 years. This originated in Europe and is based on major scientific discoveries and modern clinical research. The parameters of the Earth’s magnetic field produce the most positive health advantages of ElectroMagnetic fields for the body. The term “Magnetic Resonance Stimulation” indicates that by applying a Pulsating ElectroMagnetic Field that matches the Earth’s magnetic field, nearly all 75 trillion cells of the body can be stimulated into Harmonic Resonance. As a result, the powerful capacity within the cell membrane increases and enables the cells to produce more energy. This energy enhances the self-healing powers of the body. Omnium1 is the name of the system developed, engineered and designed in Switzerland by Swiss Bionic Solutions. It is based on the worldwide known and established Android platform. NOVEMBER 2018 – The new Omnium1 2.0 is the result of implementing state-of-the-art hardware technology, improvements in design and handling and increasing reliability – all based on 4 years of experience and feedback from the thousands of global users, working with this technology on a daily basis.